May 2 2017 — This web site was off-line the past six weeks due to a major server hardware failure. We regret any inconvenience this and the delay in rebuilding this web-site may have caused. When STIS resumed operations in July 2001 using the redundant "Side-2" electronics, the read-noise of the CCD detector appeared to have increased by ~1 e− due to a superimposed and highly variable "herring-bone" pattern noise. For many programs that aim to detect signals near the STIS design limits, the impact of this noise is far more serious than implied by a mere 1 e− increase in the amplitude of the read-noise, as it is of a systematic nature. Peak-to-valley deviations on spatial scales of only a few pixels can be as large as ~8 e−. Example — [left] A portion of a raw, gain=4 BIAS frame o6hn4x020, taken in 2002 February; [middle] the pattern-free cleaned version available here; [right] move your cursor over the image to blink between the original and pattern-free frames. The pattern noise is even more apparent in gain=1 frames. 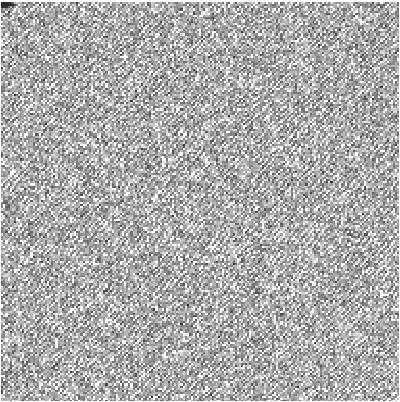 We perfected a method to cleanly and robustly detect and remove this pattern-noise from raw STIS CCD frames (Jansen, Collins & Windhorst 2002). 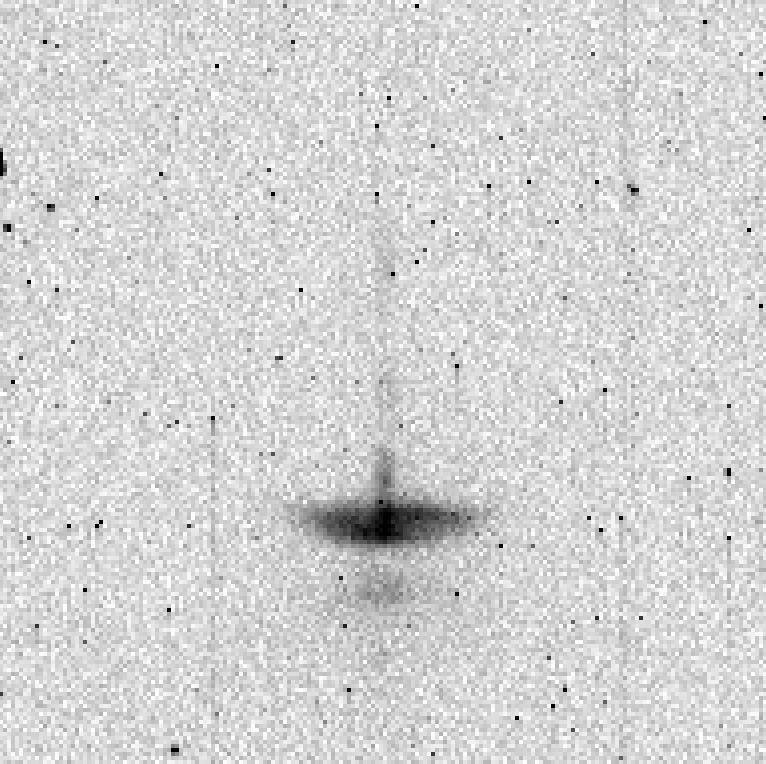 After removal of the pattern noise, we successfully reproduce the nominal "Side-1" CCD read-noise as observed prior to 2001 July. 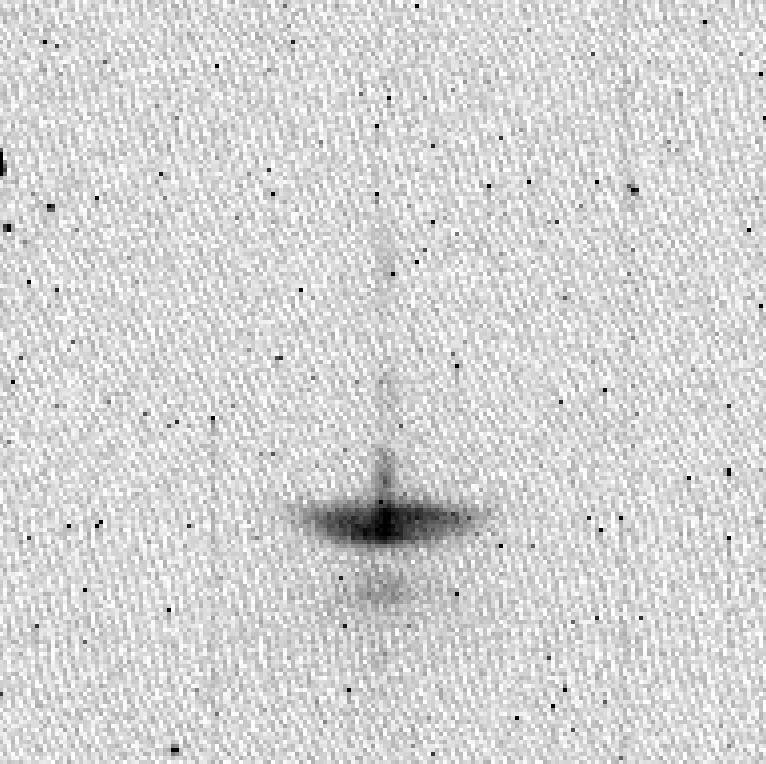 As part of an approved Cycle 16 Archival Calibration Legacy program (AR 11258; PI: Rolf Jansen) we removed the pattern noise from all 75345 raw, un-binned, full-frame "Side-2" STIS/CCD frames (47192 datasets) taken between 2001 July and the short that rendered STIS inoperable early in 2004 August. A more detailed paper describing the method, the nature of the noise, and trends therein over time is Jansen et al. 2010 (in: 'The 2010 STScI Calibration Workshop', Eds. S. Deustua & C. Oliveira, [STScI; Baltimore], pp.449–455 ). In Fall 2012, Jansen also removed the pattern noise from all 30584 raw, un-binned, full-frame "Side-2" STIS/CCD frames (12958 datasets) taken between 2009 June 2 and 2011 October 31, i.e., presently public data taken after the repair of STIS during the final HST Servicing Mission (Jansen 2013, AAS#221 [344.11]). Unbinned subframe-readout "Side-2" STIS/CCD data, i.e., with 1060×N for even N ≥ 16 pixels, is now also supported. For the smaller (≤ 256 pixel) formats, one should expect only partial removal of the pattern noise (since there is much less information in the frequency power spectrum). Nonetheless, a marked improvement over uncorrected data was demonstrated. Through this web-portal, users may search for and download pattern-free datasets of interest (or, alternatively, pattern-only datasets) via a series of index pages. In the future, we may support requests of all data for a given observing program (Proposal ID) at once. Past/present team members: Rolf Jansen (PI; ASU), Rogier Windhorst (ASU), Hwihyun Kim (ASU), Nimish Hathi (UCR,OCIS), Paul Goudfrooij (STScI), & Nick Collins (CUA/IACS,GSFC). Most of this work was funded by grants HST-AR-11258 and HST-GO-9066 from STScI, which is operated by AURA under NASA contract NAS5-26555. Example 2 — [left] A portion of a raw, gain=1 image (o6g354010) of Herbig-Haro object HH 30, taken in 2003 January; [middle] the pattern-free cleaned version available here; [right] move your cursor over the image to blink between the original and pattern-free frames.